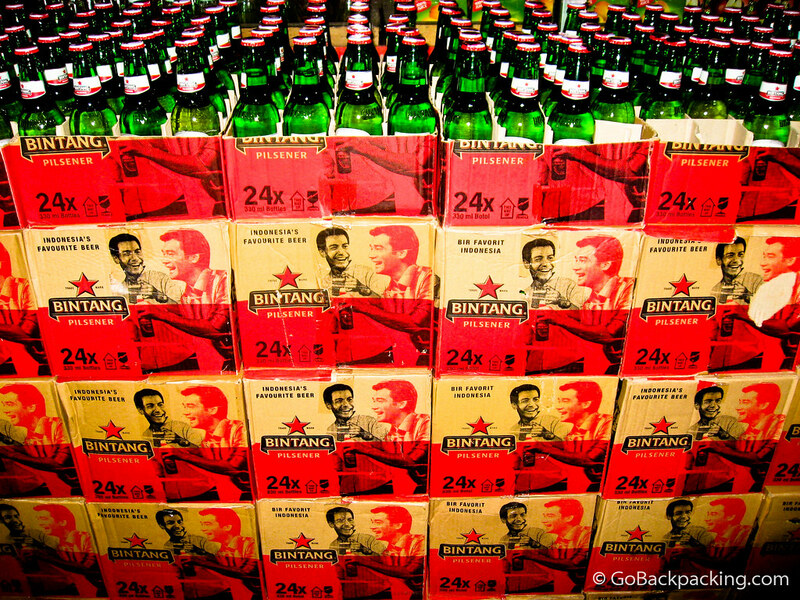 Partying in Kuta is the norm for backpackers visiting Bali, and therefore it was in Kuta that I developed my fondness for Bintang, a popular Indonesian beer. My appreciation for Bintang, like most foreign beers, has less to do with taste, and more to do with a low price (ensuring a high volume of consumption) and the way it reminds me of all the good times I had and shared in a region. What's your favorite foreign beer? Beer Lao while in Laos. Myanmar Beer while in Burma. Beer Lao — I had one immediately upon my arrival on Don Det in the south. Good stuff. How was the Burmese beer? Myanmar Beer was exellent. I was really surprised. I also tried Dagon and Mandalay Beer while in Myanmar but they didn’t cut it at all. Yep, I had Beer Lao as soon as I got to Don Det too. Come to think of it, I had Beer Lao everywhere in that country. I also took a tour of the Beer Lao Brewery in Vientiane. That was a blast! I’m still a big fan of Tusker – the very first beer I ever had! I can’t remember my first beer, but I remember the first beer I had legally on my 21st birthday – Sapporo from Japan. For some reason I’m a beer snob… Thai beer made me want to puke, Spanish beer set me homesick as hell, it was only in Prague that I could actually embrace the high quality beverages at the local. Aussie through and through, I guess, if it’s not homemade I’ll go German or Belgian to make me happy… Lame, I know and does not enhance the travel street cred. After drinking Guinness in Ireland a long time ago, I’ve become a snob about that and have yet to find as good a pour anywhere else in the world. Never heard of this before how does it taste? The only sell them in 24packs? “Sell em cheap an’ stack ’em high” same the world over it would appear.